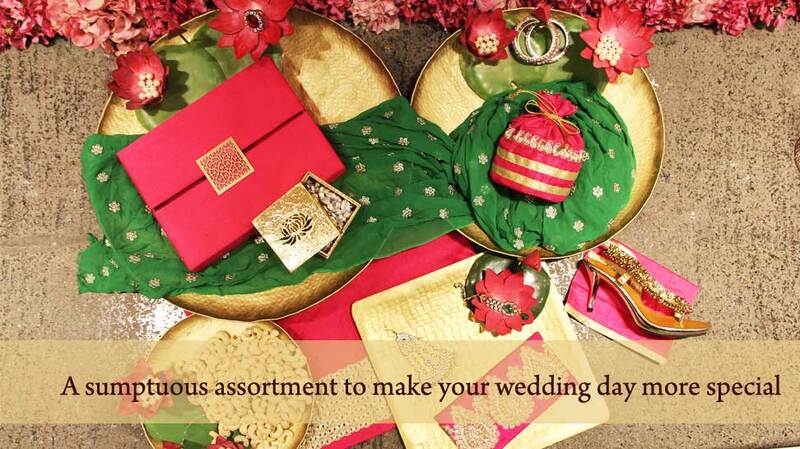 Vendor management- our excellent coordination with vendors makes the wedding a smooth flowing and hassle free affair. Personal supervision by our staff lends the occasion a personal touch and renders it flawless. 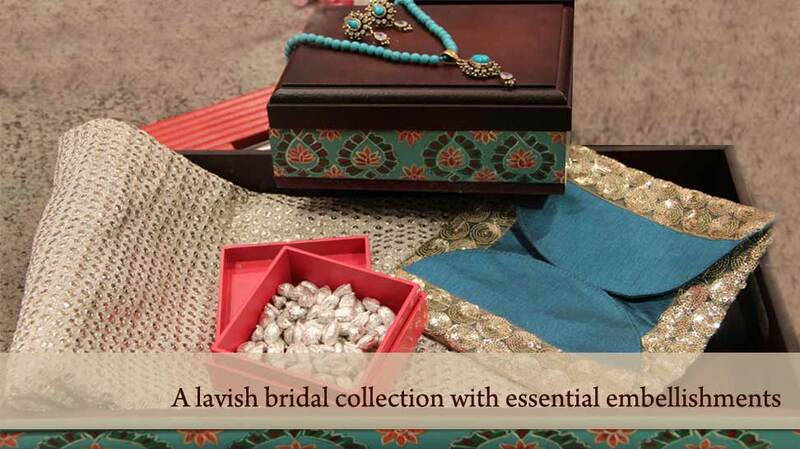 Since it is a common practice to put the trousseau on display, attractive trousseau packaging is a great touch. 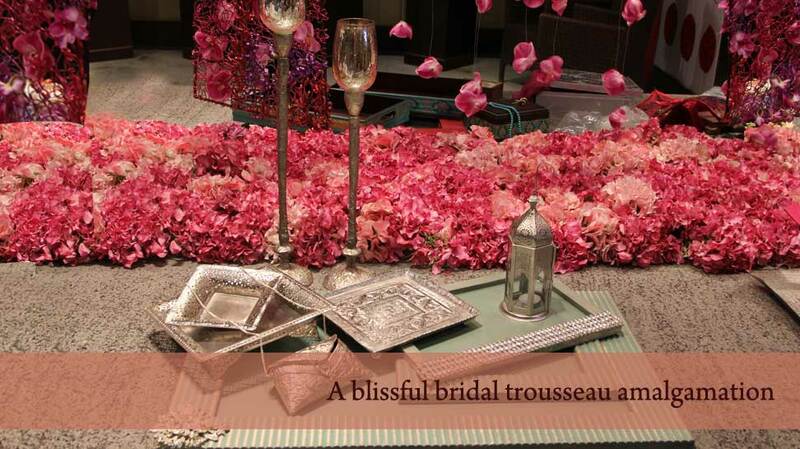 Carrying forward your wedding theme or colour palette can be a great way to interestingly display your trousseau. 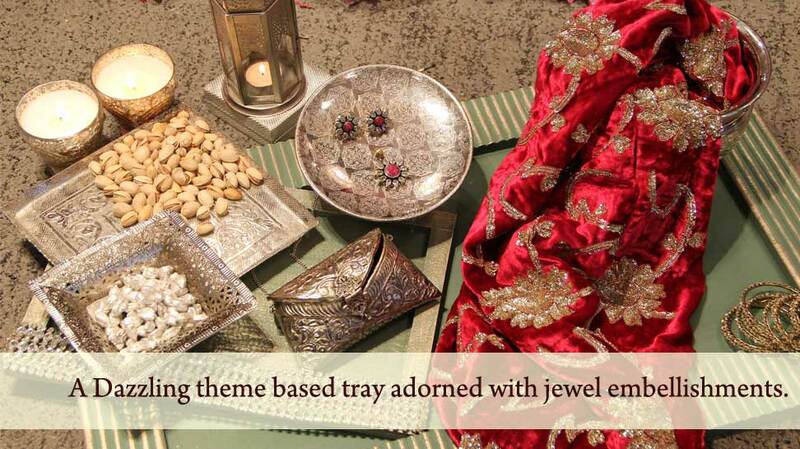 Decorated thaals and trays especially for smaller items, adorned with colourful cloth, beautiful lace/frills and ribbons, velvet, satin and jewel embellishments. Compartmentalized organizers and trays with dividers in lovely colours not only look good but also allows you to keep everything mess free. 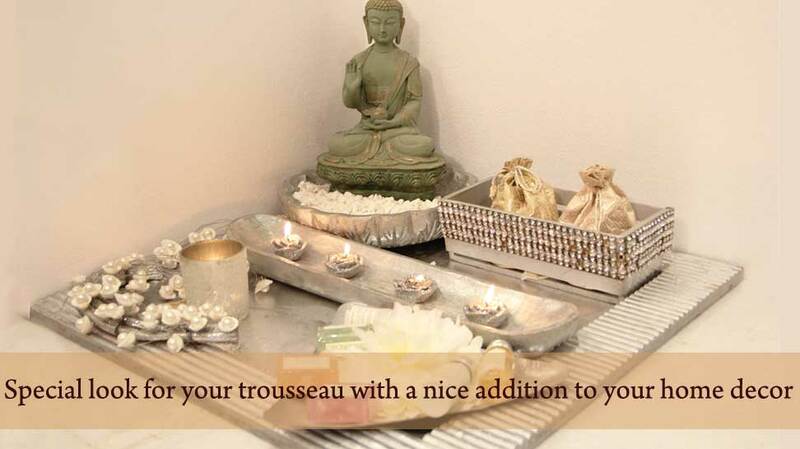 You could carry over the theme of your clothes and accessories if any or tie it up nicely with common touches. 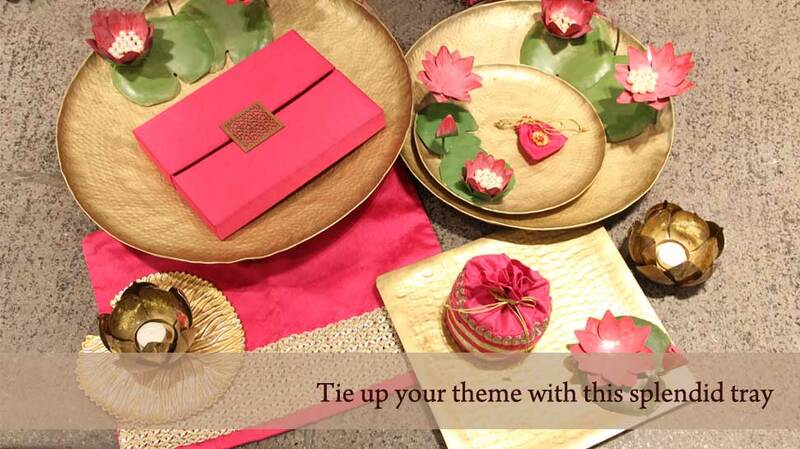 Having a theme for the way your gifts are presented, in terms of style and colours makes for one attractive trousseau! 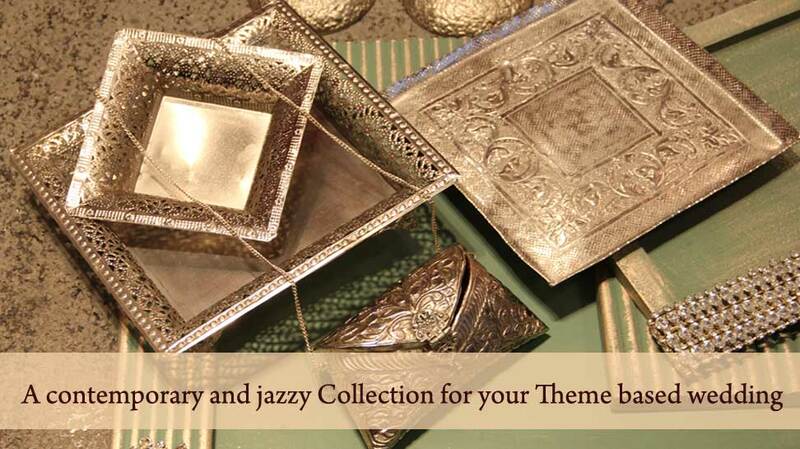 If you have a theme for your wedding and a colour palette that runs through all your events, it can incorporated in your trousseau packing as well. 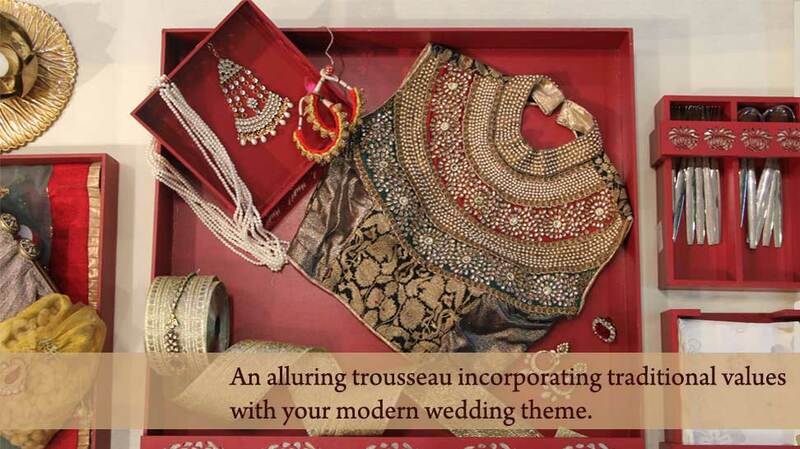 Trousseau packing is the specialized packaging for wedding gifts given to the bride and her to-be family including her husband. 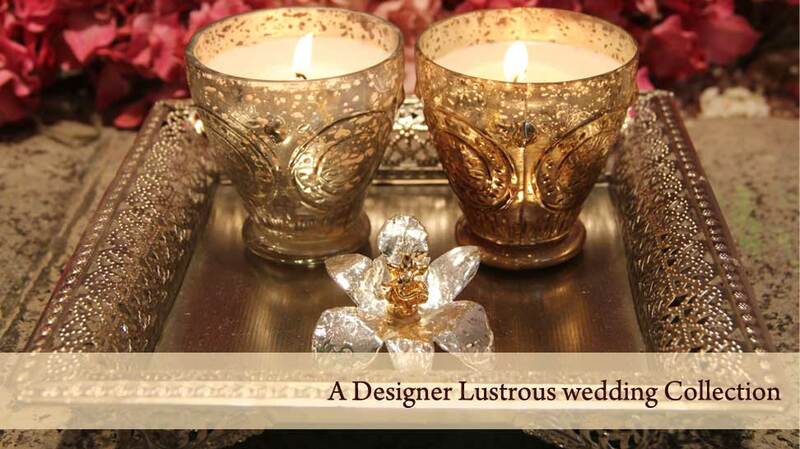 These gifts are ceremoniously given away a few days before marriage. 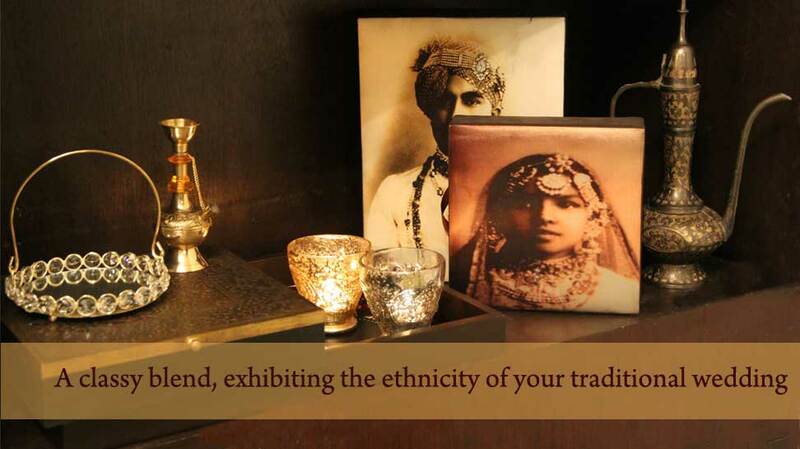 The tradition in India is to give away articles that the new couple would need as part of their life together. 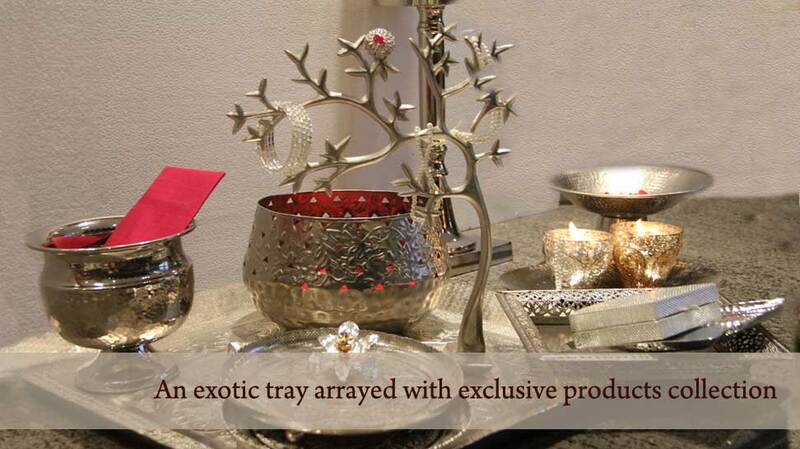 The items may include a car, jewelry, bed, dressing table, clothes, Saree etc. 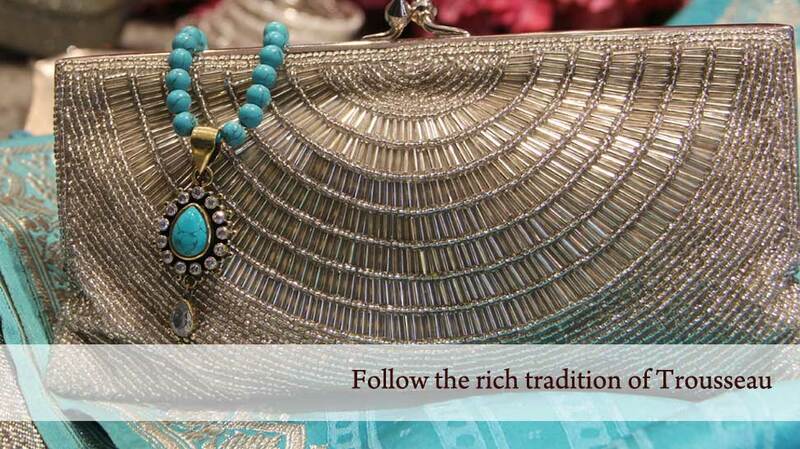 Dowry is an illegal practice, but India marriages being deep-rooted in tradition, follow the practice of giving dowry to the groom’s family.